Jeans have been a tried and tested piece of fashion that has withstood the test of time. Jeans are popular as they go with everything, making it the perfect staple for your daily fashion choice. With that, everyone is always on the hunt for the perfect jeans. However, jeans-hunting can be a nightmare. With every pair, you find there is a problem. When the waist is just right, the length is wrong, and when the length is ideal, your thighs won't fit right. The truth is that most retail stores cannot offer a wide variety of jeans to suit every size and body conformation. That’s why the best choice is to get a pair of bespoke denim jeans in Singapore. Custom-made jeans are not a novelty in fashion. However, for many decades, tailors had to fight the expansion of retail stores that sell one-size-fit-all jeans. For the untrained eye, this is not an issue but for people with good taste in fashion, they will know the importance of a pair of well-fitted jeans that are tailored to hug you in the right places. With bespoke denim jeans, you get a pair of high-quality pants, strictly unique to you. As the tailor makes them according to every line and curve of your body, they will fit your legs, your thighs, and behind perfectly. Therefore, you will be able to wear them for any occasion, while looking impeccable and effortlessly good. 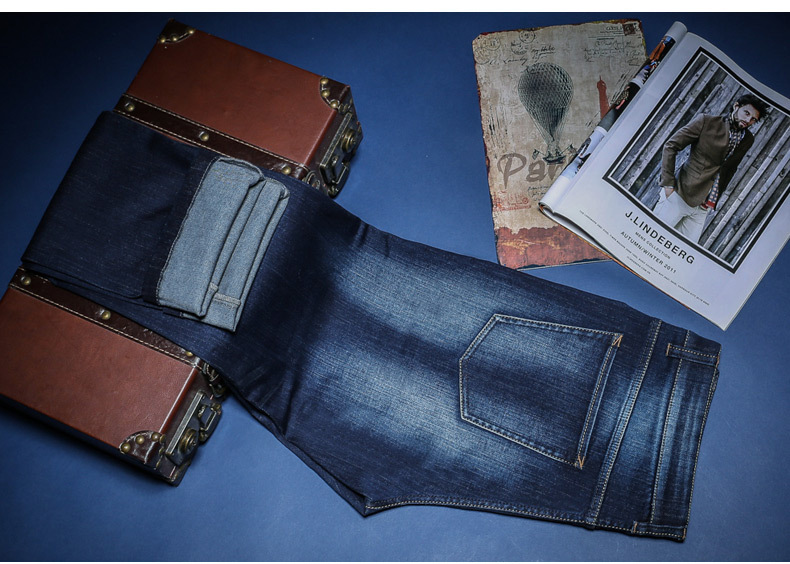 Another huge benefit of bespoke denim jeans is the quality – undeniably good quality. Unlike mass-market pieces, bespoke jeans have the luxury of time and quality. At Made Suits, we carefully select each roll of cloth that goes into the creation of our custom-made jeans. Care is taken to ensure the creation of a masterpiece designed to last through wear and tear. WHERE TO BUY BESPOKE DENIM JEANS IN SINGAPORE? Made Suits is one of the top producers of bespoke denim jeans in Singapore. Our tailors are dedicated to their craft and their expertise has been carefully honed through the years. Experience the quality and difference for yourself when you try our bespoke jeans. We only use highest-grade denim to ensure top-notch jeans custom-made for you. The tailored jeans can serve you well in both business meetings and casual outings, bringing you from day to night. When you get a pair of custom-made denim jeans in Singapore, you want to ensure the best bang for your buck. At Made Suits, we believe in delivering true value to our customers by providing quality jeans at reasonable prices. We are a local company with global ambitions that bring together some of the most talented tailors in the region. This allows Made Suits to guarantee outstanding denim jeans that offer comfort, aesthetics, flexibility and quality that moulds to every curve of your body. Made Suits uses a variety of over 30 different denim fabrics to create the perfect pair of bespoke jeans for you. Each pair is carefully hand-cut and adjusted to fit your measurements. Further to this, we also design a customised leather patch – making your jeans the one and only pair in the world.